Hello friends and readers! I’m looking to beef up Squarehead Teachers and I’d like your help! I’m searching for a few guest bloggers to feature on my website. I’m looking for ORIGINAL posts (not published elsewhere on the web) that are less than 500 words long, so readers can finish them in 5-10 minutes or less. I’m interested in delivering ideas in an easy-to read, concise way. I’m only interested in articles written for elementary school teachers (not nannies, babysitters, etc.). Please note, I do not accept blog posts containing paid links; so if you’re a writer who is paid to plant links in articles around the web, please don’t contact me. Any gems of valuable teaching knowledge you think the world should know! As one of my guest authors, you can include a short bio (75 words or less) about you on your post with a link to your own website or blog. This means more potential traffic to your site! I welcome pictures (include link to source if it’s not your own original photo), bullets, and helpful hints! 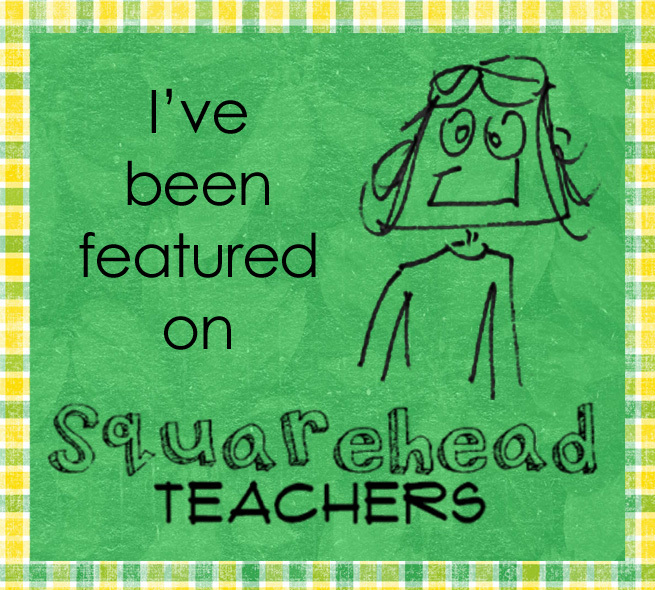 Once you’ve been featured on Squarehead Teachers, post this button on your own blog and link it to your blog post (on Squarehead Teachers) so all your readers will be able to see your featured post! So contact me if you’re interested in being a guest author on Squarehead Teachers! … Or if you’d like me to write a post for your blog (I do that too)!